t121anf This post is not being displayed . I'm going to France this summer using the Eurotunnel for the first time. I have a question around what happens should the UK and France get all petty and we end up with queues like the ones the French imposes the other week i.e. These news articles always focus on lorries, are cars in a different queue? I'm hoping it'll be running as normal when we go but you just can't tell with the French. ps My French was dreadful when I was studying for my GCSE and it hasn't got better, not like I can have a chat with the locals. pps I'm not worried about the English side, only the French, I can just about speak English despite my northern twang. Trucks use different trains to cars and different queues leading to them - when they can't get onto their trains they back up and clog the surrounding road system, cars and all. In that part of Northern France, English is spoken fairly well, especially in the retail and service industries. So if the surrounding roads are clog with lorries, cars are in the same situation? A100man This post is not being displayed . The police close sections of motorway to queue the lorries only. You may get caught in the tailback getting off the motorway, but shouldn’t have much trouble at the tunnel. This is nothing new, Le French are always on strike or blockading the port. They were on work to rule this week and the police had shut the M20 from J8-9 for operation stack. I travelled from J9 past the tunnel to Dover in the morning and back in the afternoon. It was clear all the way and I barely saw a lorry. Half the time Stack is a real overkill and Kent police keep it in operation long after its still needed. Going in August, during what is known to some as factory, shipyard fortnight. The French ain't too bad. It depends which area you're going to really. If you're a good distance from the usual touristy stuff then things might get confusing but don't give up. Learn some words you'll need such as 'fill it up please' or similar stuff. I actually like Normandy. The people are OK and the food? Yes please. I think the strangest thing we came across was we'd been at a theme park of sorts. We didn't see a single Brit, German etc - just all French people. When coming out of the huge car park we literally couldn't go any further - two families had decided to have a picnic on the exit road. They weren't what we'd call chavs or loud mouths - just happy French families and wanted us to join too!! Chilled people who enjoy life I'd say. The French ain't too bad. ......Chilled people who enjoy life I'd say. We couldn't get more touristy, going to Disneyland Paris. If there is a queue there is a queue, when did things become instant? If I go down the M6 I know there will be snags and queues, I expect them, I put them into my journey time. You will be delayed, get over it. myvision This post is not being displayed . If there are queues in France is it legal to filter over there? Is that still open? 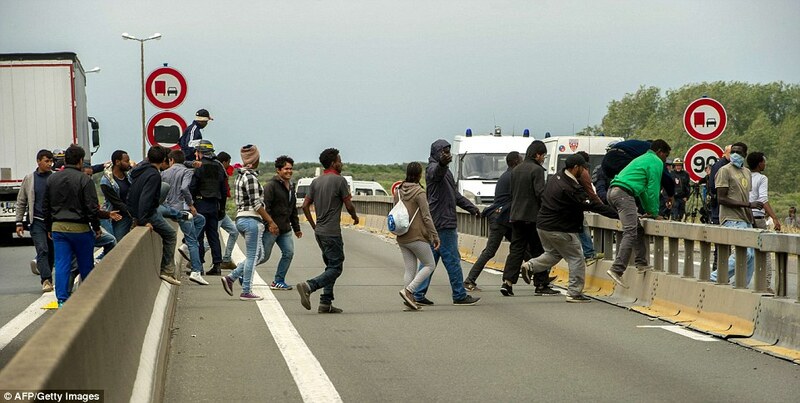 I'd try for a Eurostar if it's affordable - its 180 mile drive from Calais-Paris.. It's france, their laws don't count. Meh 180, it's 340 to Folkestone, 180 is a normal "go somewhere" trip for us up here in the north. Unless of course, it's road to ride, they are plentiful and on our doorstep. As a kid we used to drive to the south of France, 3 days worth of travelling, it's an adventure. i wondered if the same applied in France. It is. That 7 mile stretch of the A20 is the final dual carriageway into Dover, I drive it at least once a week. 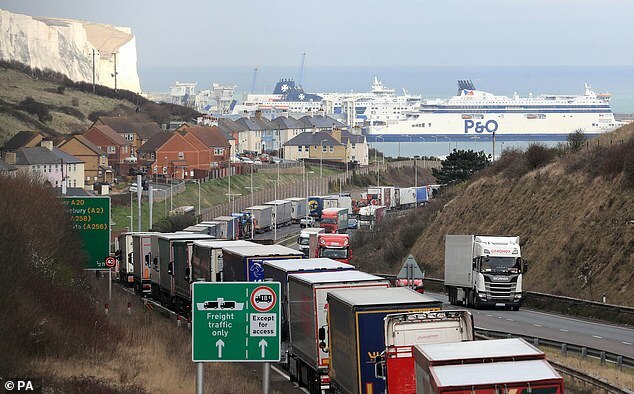 When there's an issue with the French or weather, police control the flow of lorries into Dover. HGV traffic queues on the left and normal car traffic carries on, but with a 40mph limit. This is around 10 miles after the tunnel terminal. Just don't slow down enough for the Gimmdats to attack you. kawakid This post is not being displayed . A long time ago, I used to be able to speak reasonable French, in fact I lived and went to school there. Queue 26 years since I left and I can barely order a beer. I lived in Brittany though and they had a Celtic connection with Cornwall/Wales/Scotland and Ireland. I was over in February at the old Auchan in Dunkerque after a few days on the pxss in Belgium. I used to be over quite a lot with work and would literally never ever need to purchase alcohol in the UK. But it's been something like 15 years since I've been. Regarding travel, I have the same problem in that I am travelling to Rotterdam in May and I was thinking of getting the ferry and going by bike. Now it appears I need a Green Card and an international driving license and I don't know if I can be arxed, so might just go as a foot passenger. I've a twin and a 4. That sign says no lorries except for access. Do you ever get any "oh yeah just going for access" queuejumpers? There is a police patrol at the end and some part time traffic lights. Those who take the piss are instructed to go around the roundabout and back up the A20 to join the back of the queue. Ribenapigeon This post is not being displayed . You're British and you're worrying about how you will cope with queuing? seriously? Apparently an Englishman, even when he is alone, forms an orderly queue of one.